The classic tale of Odysseus's return home in a stunning new translation. THE ODYSSEY, which tells of Odysseus's long voyage home after the battle of Troy, is one of the defining masterpieces of Western literature. Populated by one-eyed man-eating giants, beautiful seductive goddesses, and lavishly hospitable kings and queens, it is an extraordinary work of the imagination, the original epic voyage into the unknown that has inspired other writing down through the ages - from ancient poems to modern fiction and films. 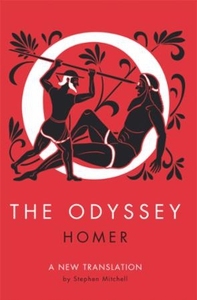 With its consummately modern hero, full of guile and wit, THE ODYSSEY is perfectly suited to our times. Thanks to the scholarship and poetic power of the highly acclaimed Stephen Mitchell, this new translation recreates the energy and simplicity, the speed, the grace, and continual thrust and pull of the original, so that THE ODYSSEY's ancient story bursts vividly into new life.